BMW has announced that it will present five all-electric vehicles including one "World Premiere" vehicle from the upcoming Los Angeles Auto Show which begins at the end of this month (at least to the press...public days begin December 1st). 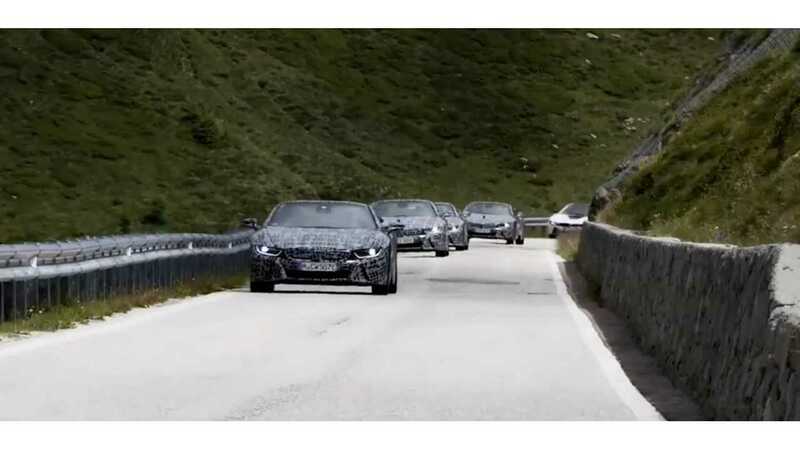 In total, the BMW Group intends to have 25 electrified models by 2025, including specific 12 electrics - a distinction between electrified (that also includes plug-in hybrids) and electric (all battery-electric) encourages us that the new model is a BEV, alongside the premier of the new plug-in hybrid BMW i8 Roadster. We believe that the fourth is the standard, but refreshed BMW i3, and the fifth to be all-new all-electric model. 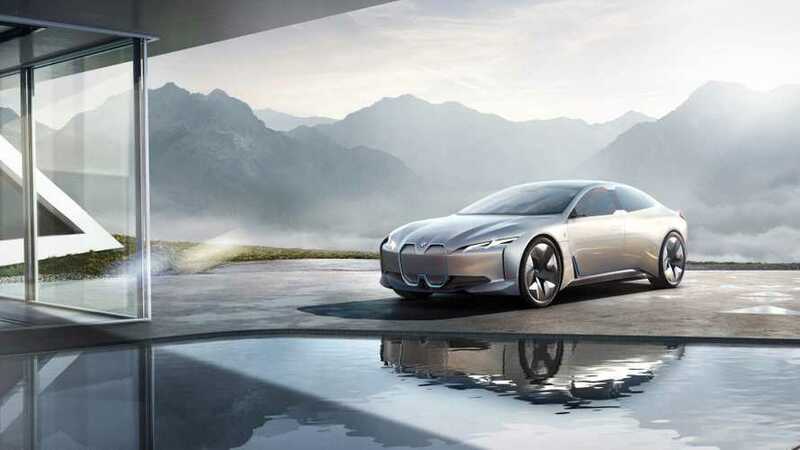 "The BMW i Vision Dynamics is an all-electric, emission-free four-door Gran Coupe that accelerates from 0-60 mph in 4.0 seconds, has a top speed of 120 mph with a range of 373 miles. The BMW i Vision Dynamics combines electric mobility with the core values of BMW – dynamism and elegance – and demonstrates how the product range and design language of BMW i can be further incorporated into other models. The new characterization of BMW i’s iconic window profile is a standout feature of the BMW i Vision Dynamics, offering all passengers equally striking views out of the vehicle to lend a shared driving experience – a factor that will become increasingly relevant as semi- and autonomous driving become closer to commonplace. 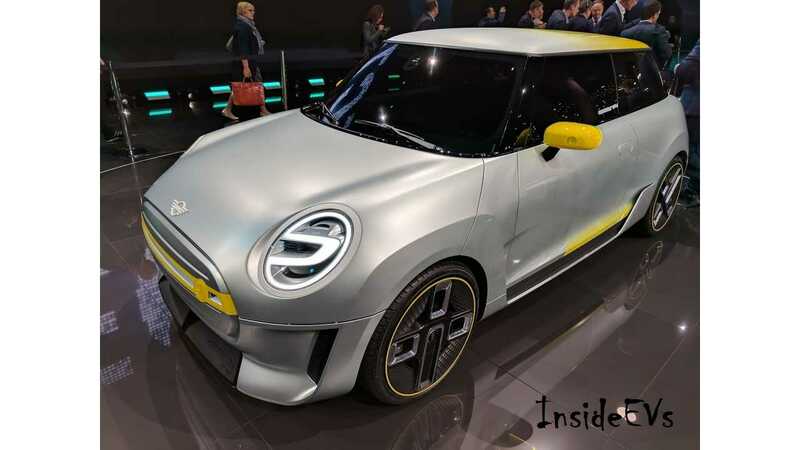 Fully electric vehicles will run across the BMW Group portfolio and MINI will showcase its take on future personal mobility in the city with the North American premiere of the MINI Electric Concept. Designed for use in urban areas, this MINI Electric Concept vehicle offers a window into how pure-electric day-to-day mobility might look in the years ahead. The concept vehicle brings the iconic design, city-dwelling heritage and customary go-kart feeling of the MINI brand into the electric mobility age. MINI will then present an all-electric series-production model in 2019. The new BMW i3s is a sportier and more powerful variant of the BMW i3, the best-selling compact battery-electric vehicle in the premium compact segment worldwide since it launched in 2014. The first ever BMW i3s provides an even sportier interpretation of silent mobility with zero emissions and features a high output 184 hp electric motor that generates peak torque of 199 lb-ft. The BMW i3s accelerates from 0-60 mph in 6.8 seconds and has a top speed of 100 mph. The BMW i3s uses a lithium-ion high-voltage battery developed by the BMW Group with a cell capacity of 94-ampere hours (Ah). 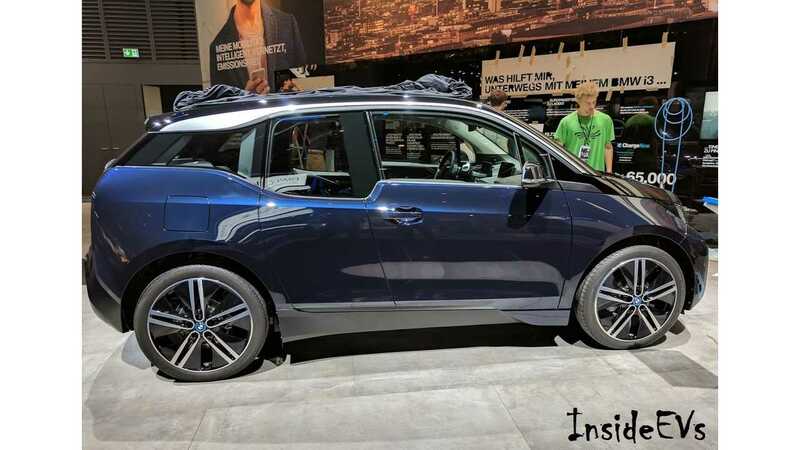 Like the BMW i3, the BMW i3s applies the concept of sustainability throughout the interior and exterior of the vehicle, incorporating recycled plastics, renewable raw materials, natural fibers, and open-pored, unbleached eucalyptus wood in the design. The new BMW i3s will be available in U.S. showrooms in November, 2017. Pricing will be announced closer to market launch." The BMW i8 Roadster is in its final testing phase. "Following BMW Group’s sustainability strategy and parallel to BMW i in the automobile sector, BMW Motorrad presents the BMW C-Evolution Scooter. The electrically powered maxi-scooter efficiently combines sustainability, dynamics, control and agility. The powerful, completely electric engine guarantees immediate torque and a riding range of up to 99 miles. The C-Evolution scooter has a top speed of 80 mph and travels from 0 to 31 mph in a mere 2.8 seconds. The BMW C-Evolution Scooter will be available in California showrooms in Spring 2018 with an MSRP of $13,750." "The BMW X7 iPerformance Concept introduces a new model concept for the premium segment that utilizes BMW eDrive technology with a BMW TwinPower Turbo petrol engine creating an exceptionally efficient and dynamic plug-in hybrid powertrain that excels in all driving situations, including running with zero local emissions. 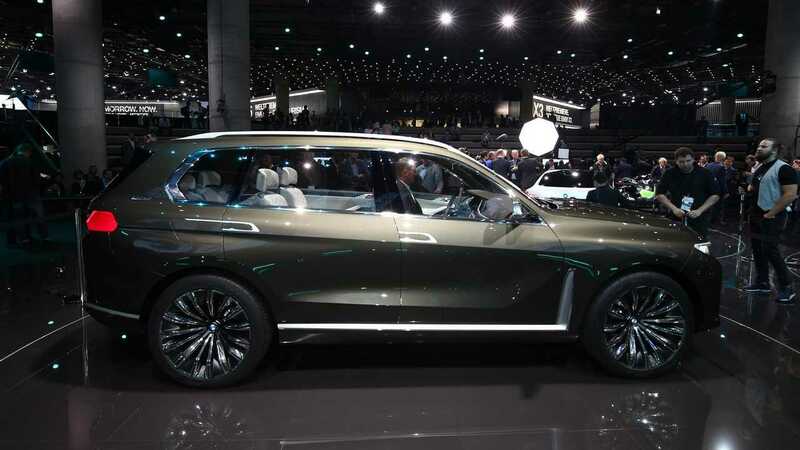 With a generously-sized, six-person interior, the BMW X7 iPerformance Concept offers an interior with a state-of-the-art infotainment system brimming with connectivity that provide an unmatched experience by any BMW past or present. As a result of the interplay between precise, pared-down forms and an open sense of space, the driver and passengers are immersed in a unique, modern setting."